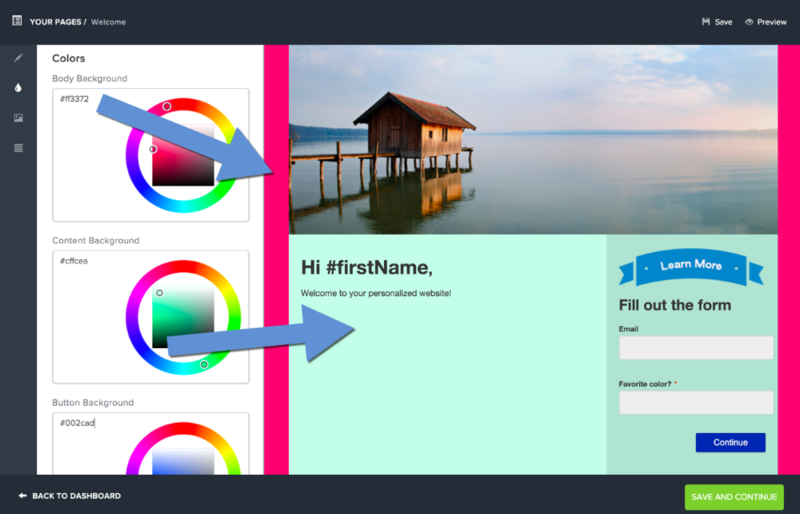 Purlem's landing page editor makes it easy to modify content, colors, images, and form on your PURL Landing Page. Don't like your current design? 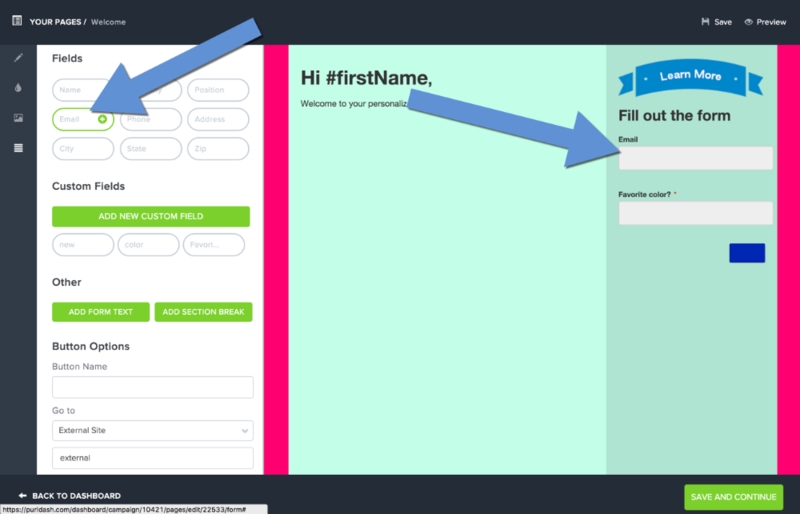 Select from several different templates to get started quickly. Advanced users may want to create their own templates, or work directly through the HTML. 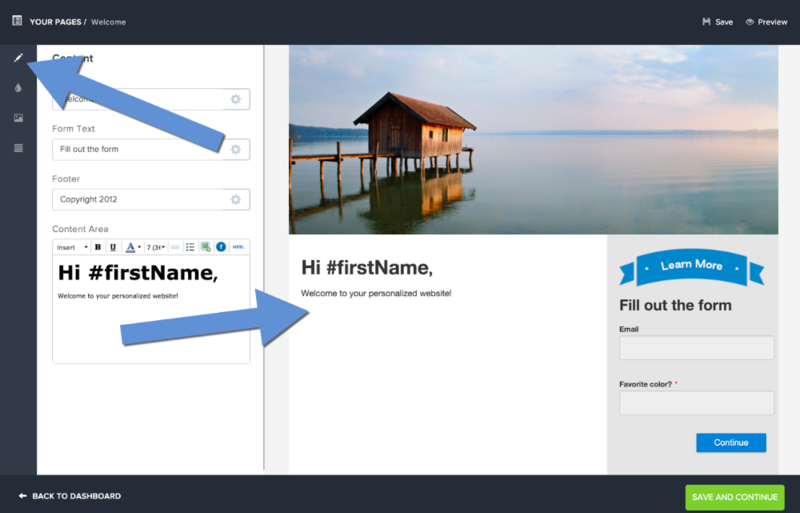 Adding/modifying content in your landing page is an easy as updating the text areas provided under the Content tab in the editor. 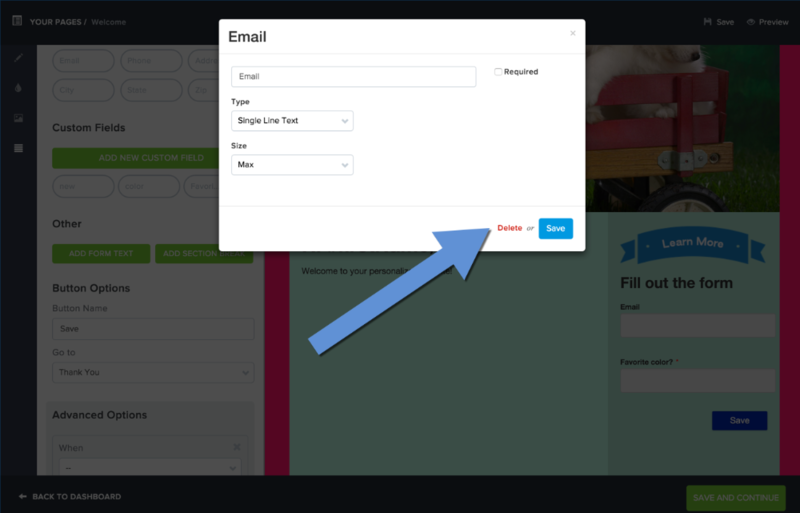 You can also use the gear dropdown to add pull-in variable content specific to the visitor. 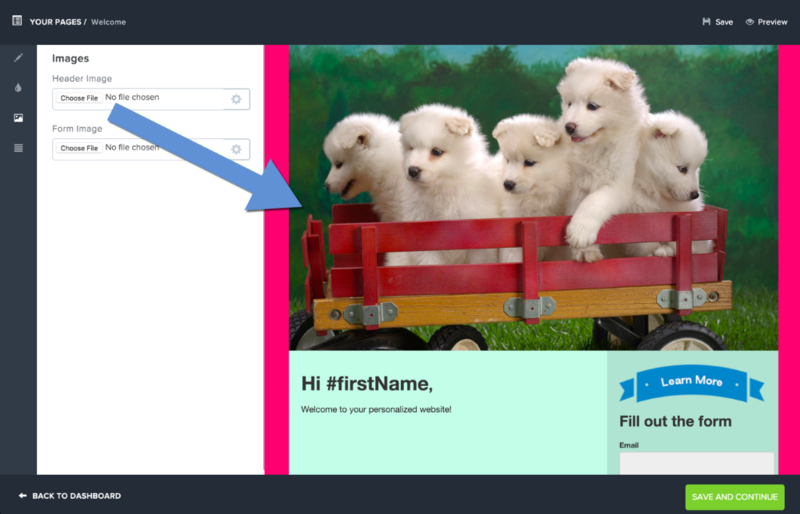 You can upload new images to your landing page under the Images tab. You can also define variable images, or hide the image, using the gear dropdown. 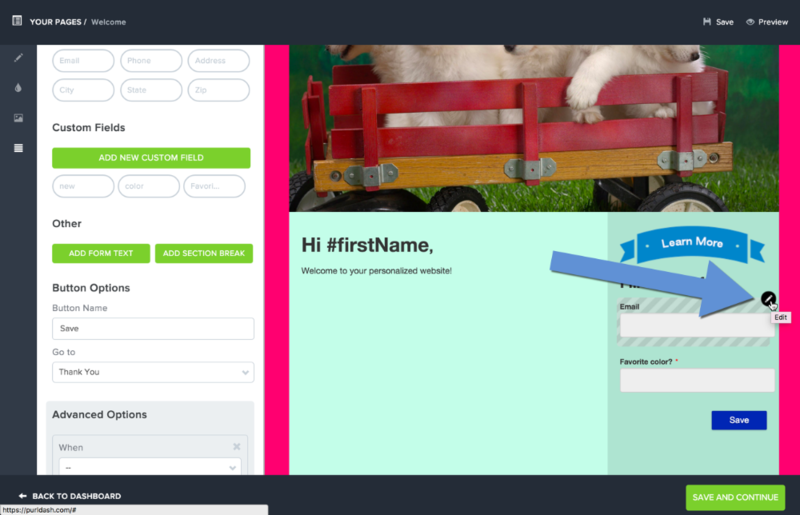 The editor also gives you full control to modify the landing page form. 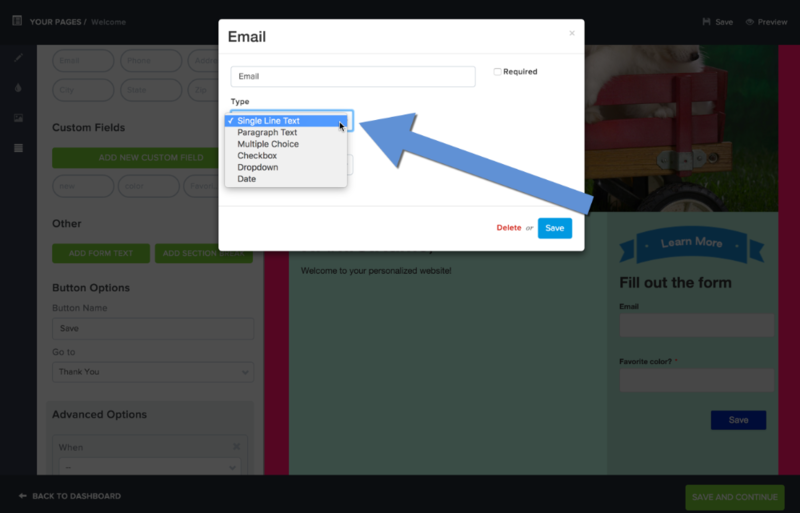 You can add new fields, change the type and size of the input, and order of the fields by simply clicking and dragging. To add a new field, click on the field you would like to add under the Form tab. To edit an existing field - change the input type, requirement, and select options - rollover the field, and select the edit button. To delete a field: Rollover the field, select the edit button, and choose the Delete link at the bottom right of the page.